Participation of foreign investors in the privatization of state property In accordance with the Law of the Republic of Belarus “On privatization of state property and the transformation of state unitary enterprises into open joint stock companies” (January 19, 1993 No. 2103-XII, as amended on July 16, 2010) foreign investors are entitled to buy state property in the process of privatization. In accordance with Article 1 of the mentioned Law of the Republic of Belarus objects of privatization of state property are the enterprises as property complexes of state unitary enterprises, and stocks (shares in authorized capitals) of business entities being in the ownership of theRepublic of Belarus or in the ownership of the administrative-territorial units. the administrative-territorial units — in the manner determined by relevant local Councils of Deputies. In the cases stipulated by the legislative acts decisions on privatization are taken in consultation with the President of the Republic of Belarus. A seller of the stocks is the State Property Committee of the Republic of Belarus. A tender or an auction is open to all legal entities and individuals, including foreign ones, with the exception of the Belarusian legal persons, whose share of state ownership in the authorized capital is 50 percent or more. A loss-making state organization may be sold to a legal entity through a tender in the process of privatization in accordance with the Edict of the President of the Republic of Belarus dated February 25, 2008 No. 113 “On the procedure and conditions of sale to legal entities of enterprises as property complexes belonging to loss-making state organizations”. an extension for three years for payment of taxes, charges (duties) to the republican budget, for six months — payment of customs charges and for two years — for payment of mandatory payments to the Social Welfare Fund. The selection of other than the state founders is performed by means of holding a competitive tender, and in the event of recognizing the competitive tender as failed due to the fact that an application for participation in the competitive tender was submitted only by one participant — on the results of direct negotiations of a body for privatization with a single participant of the competitive tender. 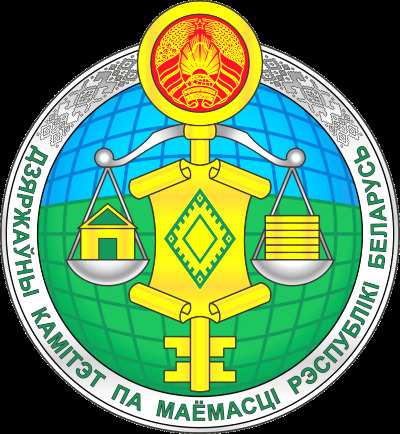 Тhe Plan of transformation of the republican unitary enterprises into open joint stock companies for the years 2011-2013 are approved by the resolution of the Council of Ministers of the Republic of Belarus of March 21, 2011 No. 348 (as amended on October 01, 2012). The Procedure for disposal of state property (excluding residential buildings and living accommodations) is determined by the Edict of the President of the Republic of Belarus dated July 04, 2012 No. 294 “On the procedure of disposal of state property”. On the regulation of relations in the field of use of land plots on the territory of the Republic of Belarus. This process is carried out according to the principle of “single window”. An investor is entitled to obtain from a land management organization a full range of services for preparation of necessary land use materials and performance of registration actions. According to the Edict of the President of the Republic of Belarus dated December 27, 2007 No. 667 “On withdrawing and granting of land plots” land plots for construction of facilities are to be provided on the results of lease auctions held by local executive committees or auctions for the sale of land into private ownership including the sale to non-state legal entities of the Republic of Belarus.